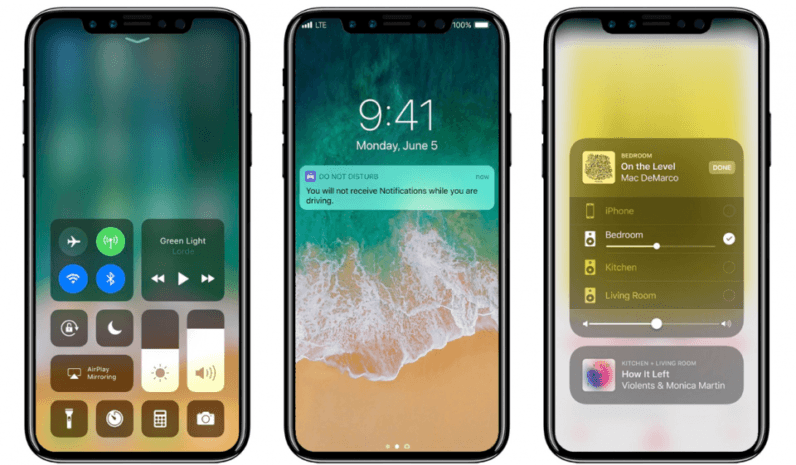 Rumor has it, Apple has plans to dramatically change the iPhone 8. We’ve reported several of these, but to date, they were still just that: rumors. Today, we’re getting even more rumors, although these are from two highly-trusted sources in the mobile industry, and each seems to confirm the other. First up is Steve Hemmerstoffer — @OnLeaks on Twitter — who reportedly obtained detailed schematics for Apple’s 10th anniversary iPhone. According to Hemmerstoffer, the information was “sourced directly from the factory in charge of building the new iPhone,” and then CNC manufactured to create a prototype. The results are basically what we’d been hearing: thinner bezels, a 5.8-inch display, and the same damn camera bump in the rear we all just wish would go away. The new 5.8-inch screen size, notably, is slightly larger than the 5.5-inch iPhone 7 Plus. But it’s footprint, due to the smaller bezels, is smaller. According to caliper measurements of the prototype device, the 8 is actually smaller all around than the 7 Plus, and fits nicely into a sweet spot between that device, and it’s smaller counterpart, the iPhone 7. Case maker Olixar was able to confirm these measurements. Having already leaked the specs for the iPhone 7, Galaxy Note 7, and Galaxy S8, I’d be willing to bet Olixar is correct here too. But as with all leaks and rumors, it’s best to retain some semblance of skepticism. That said, I’d be willing to call it: this is what the iPhone 8 will look like.